Sydney FC underlined their championship credentials after defeating Sutherland Sharks 5-0 in a classy performance at Lily Homes Stadium on Saturday afternoon. First half strikes from Benjamin Koop and Hamish Lamberton put Sutherland to the sword early on, while a second-half double from Jordan Swibel and last-minute strike from Evan Tsaskos put the finishing touches on a comprehensive display.  It means Sydney have booked a preliminary final date with Blacktown City, who sealed the 2018 Premiership in round 21, next weekend. Meanwhile, Sutherland will take on Sydney United 58 in a do or die showdown. The Sky Blues should enter that fixture teeming with confidence after a performance that saw the side marry their free-scoring ability with a determined defensive display. Sydney FC have often been exposed by a soft underbelly throughout the regular season, but despite a few early wobbles, Italiano’s men were more resolute than ever. They broke the deadlock with a lovely passing move down the right flank involving Guiseppe Tilio and Hamish Lamberton, with the latter sliding a ball across for Koop to dispatch from close range. And the Sky Blues doubled their advantage before the half hour mark through a classic counter attack to assert their authority. So often Sydney’s weapon on the transition, Marco Tilio streamed forward with the Sutherland defence caught upfield and released Lamberton through on goal, who confidently stroked home his 19th goal of the season. That two-goal deficit proved unassailable for Sutherland. The 2017 Premiers have endured a rocky finish to the season and outside a few flashes of quality in the opening half, the Sharks attack was cramped and lacked the fluidity that saw them stroll to the double last year. The same could not be attributed to Sydney. The Sky Blues have outgunned all their competitors this season, and Italiano’s substitution of Jordan Swibel from the bench midway through the second half highlighted the depths of their attacking arsenal. Swibel scored 13 goals throughout the regular campaign and claimed a double in no time as Sydney turned on the style. The striker first powered home a low effort after a collecting a scramble in the box and clinched his second eight minutes later, tapping home unmarked after the Sky Blues pounced on a Sutherland error. It got even better for Sydney in the last minute of normal time. With Sutherland pressing for a consolation, the Sky Blues broke through Evan Tsaskos who bolted half the length of the pitch and finished with aplomb. Sydney United 58 were victorious in the weekend’s elimination final at Lambert Park, defeating Wollongong Wolves 3-0. It was a resounding display from the Reds, who have now won four in a row without conceding on their way to next weekend’s do or die clash with Sutherland Sharks. Goals from Ivan Ozanic, Nathan Manno and Anthony Pedavoli saw United 58 on their way, with Wollongong unable to find a reply.